This a movie review of TINKER TAILOR SOLDIER SPY. If The Bourne Trilogy re-energised and gritiffied(!!) the espionage genre, then TTSS (as I’m going to call it now) has shown the bureaucracy behind the bone-crunching fights and hi-tech gadgets. It feels like the reality – the glamour stripped away, leaving the administration. That’s not to say the stakes aren’t just as high – from the microcosm of personal safety to the macrocosm of national security. While more tangible than the majority of the film’s peers, there is an exclusivity – a world inhabited by privileged men using jargon like “Lamplighters”, “Control” and “Scalp Hunters”. It’s not about ideology or righteousness, but survival, not for survival’s sake, but to be able to play the game. In an unusual way this is actually scarier than the Bonds, as death here during the Cold War seems just around the corner, from those across the Iron Curtain as well as by your own team. And that’s what this is about; it is supposed by the ex-chief (now dead) that a Russian mole has infiltrated the upper echelons of London Station (a.k.a. the Circus) within Mi6. 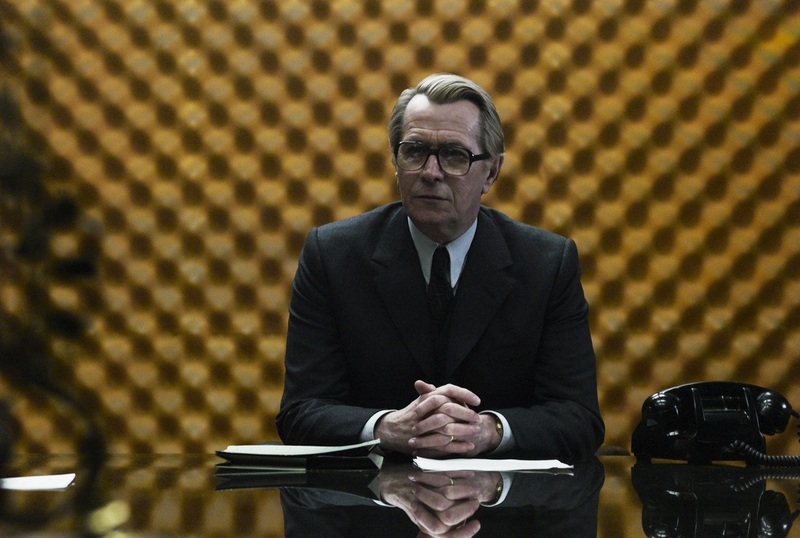 There are five suspects, including the focus, George Smiley, who though forced into retirement is hunting him. And it is he, there is no post-modernism, this is a very male-centric universe. Realism or excuse; I’d go with the former. There is a female spy and she is a victim. Though Kathy Burke’s Connie is an analyst with a formidable mind. A formidable mind is what all the characters share, and makes both the novel and film gripping. Not in the sense of pace, which is glacial, but in terms of intricacy – a chess metaphor is not subtly used, but is very apt. When I put the down novel, and the credits rolled in the film, they both immediately left me with a sense of disappointment, an is-that-it sense; however, with time to digest, both grow in stature in mind. What author John le Carré and the filmmakers have conjured is a credible thriller that is quietly tragic. The Mission: Impossibles are rife with double agents, and that kind of careless recruiting feels a little tired three films in. TTSS makes the threat feel fresh. The colours are washed out, reflecting the joylessness in chasing a friend or colleague, and traitor. The casting is dazzling (Colin Firth, John Hurt, Tom Hardy, Mark Strong, etc. ), and testament to their talents that it doesn’t feel like just a stunt. The set design is inspired, from the Elvis-A-Little-Less-Conversation-like library, to the stunning soundproof meeting room. All rotating around a magnetic clipped Oldman, whose cadence I could listen to all day. You might come out of the cinema wondering what all the fuss is about, give it time, you’ll see it does stick with you; though if you want to keep up I’d advise reading the book first. Oh yeah, you don’t even get to see the big bad guy; he’s just talked about. How intimidating is that!